Welcome to DARMAR ENTERPRISES - Gemstone Catalog. 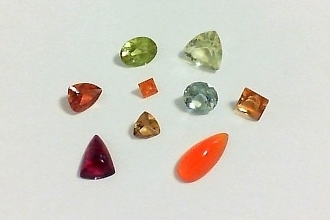 This catalog shows standard/native cut stones from our inventory, plus a few stones we have cut. This includes calibrated shapes, melee, native cut non-standard shapes, unusual cuts, and miscellaneous items. Only a few items are listed in the catalog. More will be added as time allows. If you want to see a picture of a specific item that you need, email your request and it will be posted as quickly as possible. Wholesale: For the convenience of our wholesale customers, prices are 2.0Keystone. This is not intended to be used as a counter catalog, but it is not yet set up with a separate wholesale section, and is visible to anyone. Calculate your wholesale price, then contact us for ordering information and price confirmation. If you are not a current wholesale customer, contact us with your name, company and store name, address, contact information, and any additional information we can use to verify your wholesale status, such as trade references. 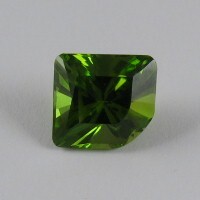 If you email your information, include a description of the gemstone or cutting job you need. Usually we can answer your questions and confirm pricing right away. If you have any questions, about any item in this catalog or on our other pages, please contact us.